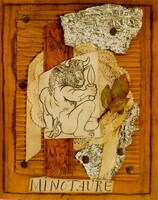 Minotaur ("the Bull of Minos") is a creature with the head of a bull on the body of a man. 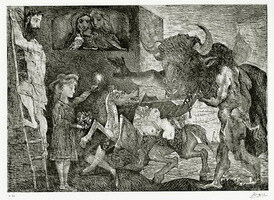 Begotten by Minos's wife who had been impregnated by a bull, Minotaur is locked in a maze. 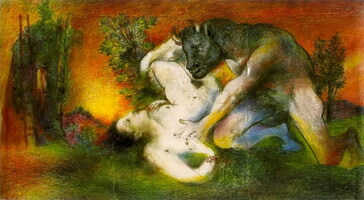 Theseus ended the sacrification of young men and women by slaughtering the beast. 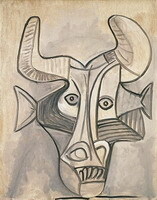 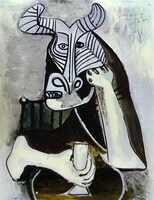 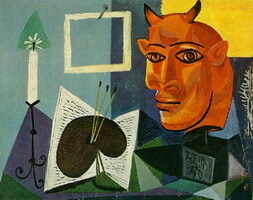 The Minotaur theme was very close to Picasso; apparently he identified himself with this creature, its human and animal principle, locked in a maze, hidden from sunlight. 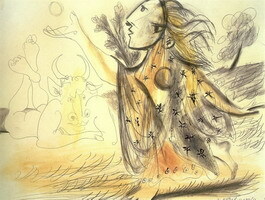 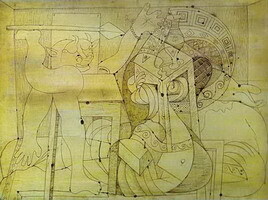 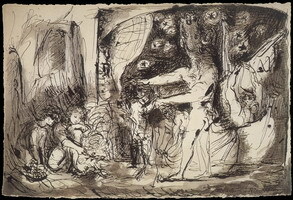 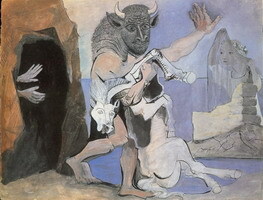 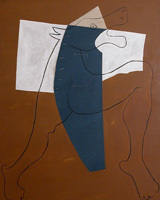 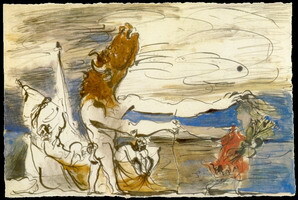 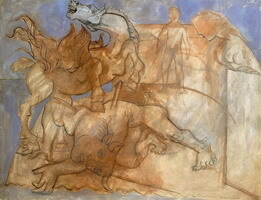 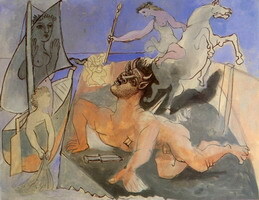 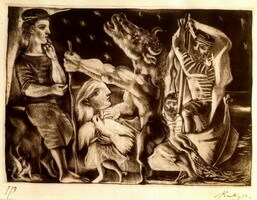 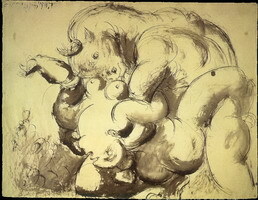 Look closely at Picasso’s Blind Minotaur Led by a Little Girl. 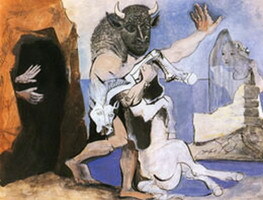 While Theseus has already come off the boat, the blind Minotaur is lead away by a girl with the face of Marie-Therese Walter. 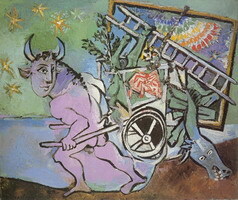 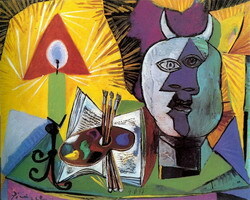 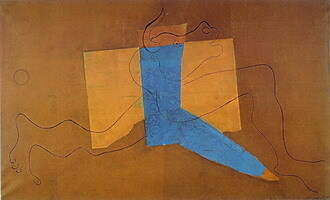 Mythological aspects of Picasso’s work should be considered in the context of the psychology of his personality, and, of course, the time in which he lived and worked.